If you've never explored the Mojave Desert, the Castle Mountains wouldn't be a bad place to start. Getting there isn't easy. From the Coachella Valley, the shortest route winds through the High Desert, east on Highway 62 and north through the Mojave National Preserve (the so-called "Las Vegas shortcut"), then east again past Nipton, a tiny railroad boomtown that's currently being sold for $5 million. The last leg of the trip runs through Nevada, crossing the state line near Searchlight before cutting back into California, via a series of rugged dirt roads that culminate in the Castle Mountains. The Castle Peaks got their name because they resemble the ramparts of a castle. The most stunning feature is the Castle Peaks, a series of jutting mountains that look like the ramparts of a castle. They loom large over the area's cholla cacti, creosote bushes and bighorn sheep. Baby Joshua trees shoot up from nurturing brush, even as their cousins in Joshua Tree National Park struggle to reproduce amid a changing climate. Abundant grasses and other verdant plants rise from the desert floor, providing so much ground cover that parts of the Castle Mountains look as much like a prairie as a desert. ​There's a ghost town, too, left over from a gold-mining boom in the early 1900s. But we'll get to that. David Lamfrom, who works to protect California's deserts with the National Parks Conservation Association, guesses he's been to the Castle Mountains 50 or 60 times. Just a few hundred people visit each year, by his estimate. For the Castle Mountains, protection might come soon: Conservationists have urged President Barack Obama to declare the area a national monument, along with two larger sections of the desert. Supporters and opponents of that request expect Obama to grant it within the next few weeks, creating the Mojave Trails, Sand to Snow and Castle Mountains monuments through his authority under the 1906 Antiquities Act. Republican politicians, mining interests and off-road vehicle enthusiasts will cry foul if Obama invokes the Antiquities Act, even though most of them support legislative efforts to protect those areas from rampant development. And even if Obama does take action, the Castle Mountains wouldn't completely avoid industrial activity: A Canadian company called NewCastle Gold hopes to reopen a mine that shuttered in 2001 due to low gold prices, and it has every legal right to do so. Whatever happens next, there's little disagreement the Castle Mountains deserve some kind of protection. Just ask off-roader Randy Banis, who opposes a presidential designation but has worked with Sen. Dianne Feinstein to establish desert monuments through legislation. Asked about the Castle Mountains, Banis could barely contain himself: "Isn’t it incredible? Isn’t it absolutely incredible?" "The vegetative diversity, and the health of the vegetation — I love stopping the vehicle and just stepping out and walking through," he said. "People are like, 'Really, this is a desert?' It’s just so beautiful." Many species of desert plant coexist in the Castle Mountains ecosystem. The Castle Mountains occupy an unusual perch in the vast Mojave Desert. About an hour's drive from Las Vegas, the area is surrounded on three sides by the Mojave National Preserve; the fourth side is the Nevada border. If not for the gold mine, it would have been included in the California Desert Protection Act of 1994, which created the national preserve, along with Joshua Tree and Death Valley national parks. Feinstein, who wrote that bill, cut 29,000 acres out of the proposed preserve, giving then-mine owner Viceroy Gold Corporation plenty of room to maneuver on its 7,500 acres. By the late 2000s, the mine was closed, and energy companies were eager to build solar and wind farms across the desert. Against that backdrop — which alarmed conservationists — Feinstein wrote a bill to protect 1.6 million additional acres, mostly by establishing the Mojave Trails and Sand to Snow monuments. The Castle Mountains would have been added to the Mojave National Preserve. But the bill failed to get traction in a gridlocked Congress, as did similar proposals in 2011 and 2015. So last summer, Feinstein and conservation groups started urging Obama to protect those areas via the Antiquities Act, which he'd already used to create or expand 19 national monuments, including the San Gabriel Mountains National Monument in Southern California. Monument status would preclude industrial development, from wind and solar farms to new mining. The designations would also bring new funding from the federal government, Lamfrom said, which in the Castle Mountains' case could be used to study unique plants and animals, survey Native American petroglyphs, develop a trails system and craft an interpretive plan to teach visitors about the area's history. The National Park Service would begin promoting the monuments, too, almost certainly boosting tourism. The proposed Mojave Trails and Sand to Snow monuments have commanded the most attention, since they're larger and closer to population centers. The Castle Mountains monument would be relatively small, and far from any California cities. But conservationists say the Castle Mountains are just as deserving of protection — and not just because they offer stunning views. Because of the area's unique geography — it's further east, and higher in elevation, than most of the Mojave Desert — the Castle Mountains foster a diversity of plant and animal life unmatched almost anywhere else in the desert. Monsoonal summer rains tied to the nearby Colorado River are particularly important, supporting dozens of species of grass that blanket the desert floor. High plains in the Castle Mountains. "It’s an extension of southwestern grasslands which extend from Texas all the way into California. 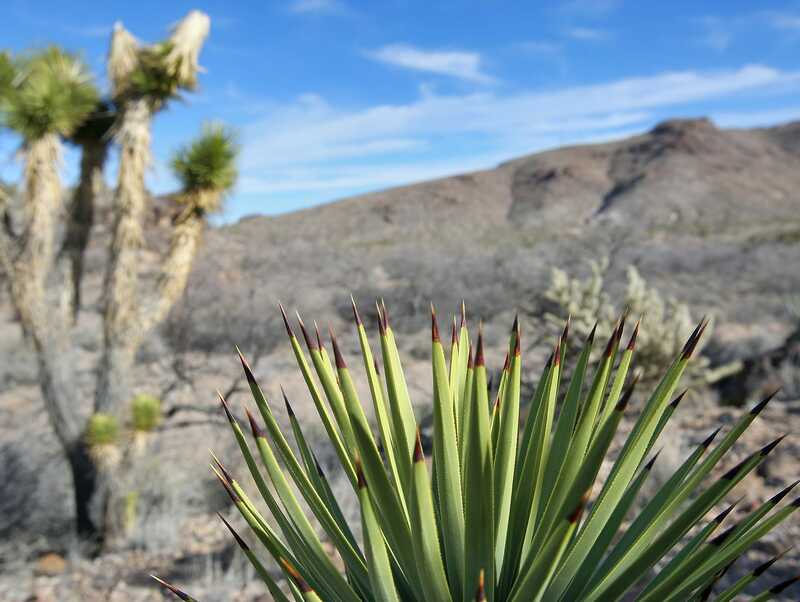 This is typical of summer rainfall deserts," said Jim André, a botanist who runs UC Riverside's Sweeney Granite Mountains Desert Research Center, located in the heart of the Mojave National Preserve. “Most Californians don’t think of California as receiving the monsoon, but in far eastern San Bernardino County it’s quite prominent." 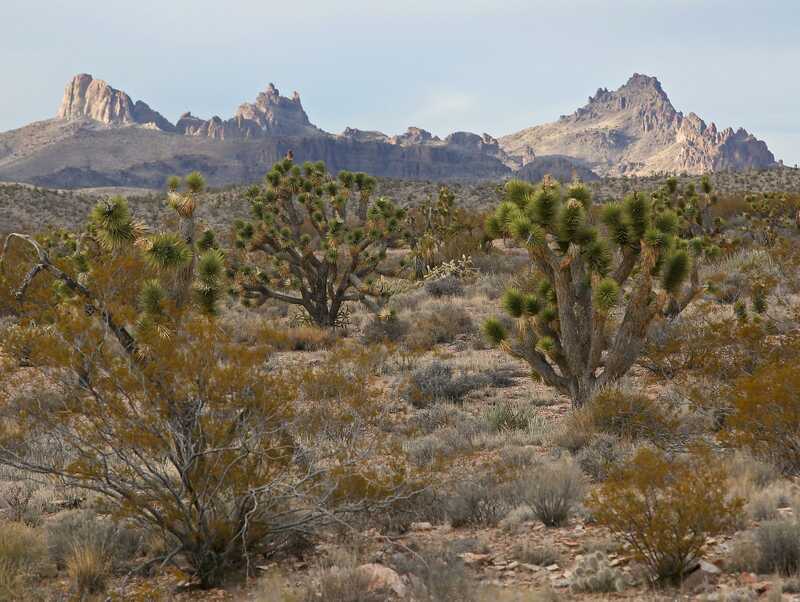 The area is also part of the world's largest Joshua tree forest, which stretches from Mojave National Preserve into Nevada's Lake Mead National Recreation Area. And unlike in Joshua Tree National Park — where the namesake species is struggling to adapt to global warming — Joshua trees are thriving in the Castle Mountains. It's not hard to find healthy Joshua trees sprouting up from black brush, which serves as a spiky nursery to the young plants, warding off herbivores until they can fend for themselves. The area's relatively high elevations make that possible, providing lower nighttime temperatures than the low-lying national park can. "Oftentimes when people think of deserts, they think of sand dune systems, or they think of lonely, flat places," Lamfrom said. "But this is a rugged, beautiful mountain-scape filled with Joshua tree forests, with piñon, with juniper, with native grasslands...this is really, I think, one of the truly unique and remarkable places in our desert." President Barack Obama designated three national monuments in California on Friday, setting aside nearly 1.8 million acres for permanent conservation. The same factors that give rise to the Castle Mountains' diverse plant life also support abundant wildlife. It would be difficult to list all of the creatures that spend time there: desert tortoises, bighorn sheep, antelope ground squirrels, mule deer, mountain lions, Cooper's hawks, great horned owls and more. Several of those species are protected under the state or federal Endangered Species Acts. Keeping the Castle Mountains pristine, conservationists say, is bigger than just giving those species another place to live. 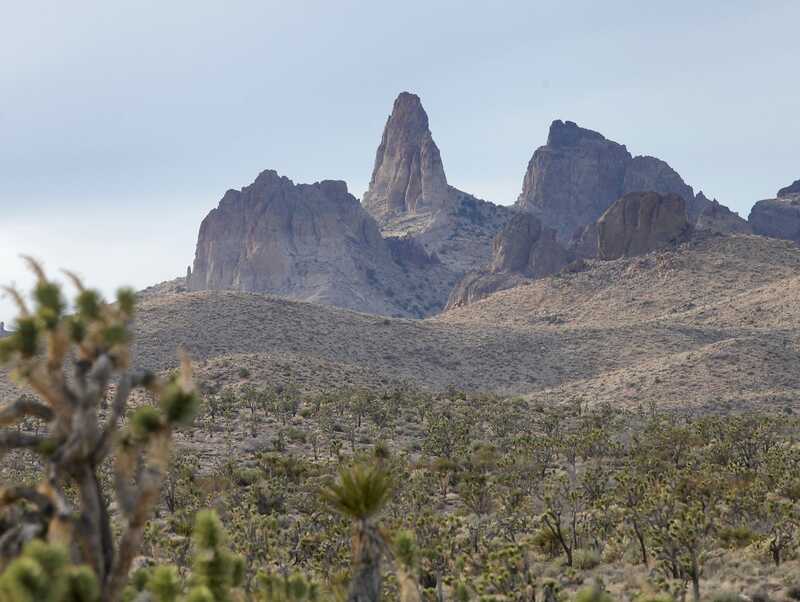 They see the Castle Mountains as a critical link in a chain of largely undisturbed desert that stretches from the Mojave National Preserve into Nevada, eventually connecting the 1.6-million-acre preserve with the 1.5-million-acre Lake Mead National Recreation Area. The thorny ends of a plant in the Castle Mountains. Keeping that chain intact is especially important for species like bighorn sheep, which roam the open desert. As cities, freeways and fences have increasingly crisscrossed what once was wilderness, bighorn sheep populations have fallen dramatically. "You can’t keep them in isolation. You have to allow those connections to other (bighorn sheep) populations, so they can have genetic exchange," said Dennis Schramm, who served five years as superintendent of the Mojave National Preserve. "If you don’t protect it, and you put in more fences and windmills and solar fields and all those kinds of things, you’re chopping up the habitat." The Castle Mountains could also provide habitat for a new species. A century ago, pronghorns — the world's second-fast land animal, after cheetahs — thrived in the deserts of Southern California. But humans hunted the antelope-like species, and eventually it disappeared from the region. For years, the National Park Service and state wildlife officials have wanted to reintroduce pronghorns in the Castle Mountains. But they've been waiting to take that step until the area receives stronger protection, which would help ensure their efforts won't be in vain. More than 100 years ago, the Castle Mountains were better known for gold than they were for flora and fauna. Three Nevada prospectors — Jim Hart, and the brothers Bert and Clark Hitt — struck gold there in December 1907, and by the next year a mining town known as Hart was thriving. The town had about 400 residents, along with five hotels and eight saloons, according to a plaque that greets visitors today. Lamfrom said he's heard the town had two brothels, although that isn't mentioned on the plaque. Miners quickly realized there wasn't much gold that could be economically extracted, and within a decade the town was deserted. The buildings are gone, but remnants of Hart are still visible: Rusted metal cans litter the base of the gold-laden hills that give the Castle Mountains their name. Viceroy opened a new mine in 1992, although that one, too, lasted less than 10 years. An old gold mine, right, is cut into the Castle Mountains. The Castle Mountains are surrounded on three sides by the Mojave National Preserve. "The Western American history of this landscape has been intimately tied to mining, and the ability for the (National) Park Service to tell the story of mining here is really important," Lamfrom said. Mining could also play a role in the Castle Mountains' future. NewCastle, which bought the mining rights in 2012, estimates there are at least 4.2 million ounces of gold in the hills, which would yield nearly $5 billion at today's prices. A new mine could employ a few hundred people, said Marty Tunney, NewCastle's vice president for business development. The company is still conducting preliminary studies, and could be several years from opening a mine. NewCastle's permit will expire in 2025, although it could ask San Bernardino County for an extension if there's enough gold to justify further mining. In the long term, the company hopes to give the land to the National Park Service, Tunney said. 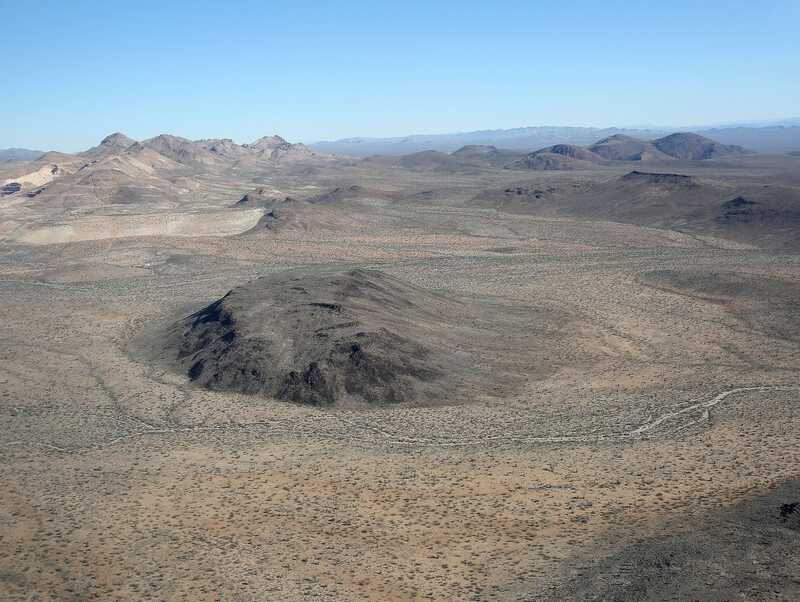 "If we were able to mine it the way we would like to go and mine it, and extract the value of it, we’d like to go through full reclamation and hand the project over to the (Mojave National) Preserve," he said. "We currently don’t see any reason why that shouldn’t happen." The proposed Mojave Trails monument has generated more controversy than Sand to Snow or the Castle Mountains. Feinstein's bill would ban new mining claims across the monument's 942,000 acres, which surround historic Route 66, between the Mojave National Preserve and Joshua Tree National Park. Big mining companies support the bill, but a cadre of smaller firms fiercely oppose it. Rep. Paul Cook, a Yucca Valley Republican who represents the High Desert, has put forward a different proposal. His legislation, like Feinstein's, would create the 140,000-acre Sand to Snow national monument, stretching from the desert floor near Joshua Tree National Park to the peak of Mount San Gorgonio in the San Bernardino National Forest. But it would offer a lesser level of protection to the Mojave Trails, establishing a "special management area." Ten percent of that area would be open to new mining operations. A break in the clouds reveal sunlight over the Castle Peaks. Banis, who represents the California Off-Road Vehicle Association, supports Feinstein's bill, since it would keep the Mojave Trails monument open to off-roaders. He's worried a presidential designation would ultimately lead to the closure of the area's dirt roads. The Castle Mountains are less contentious. 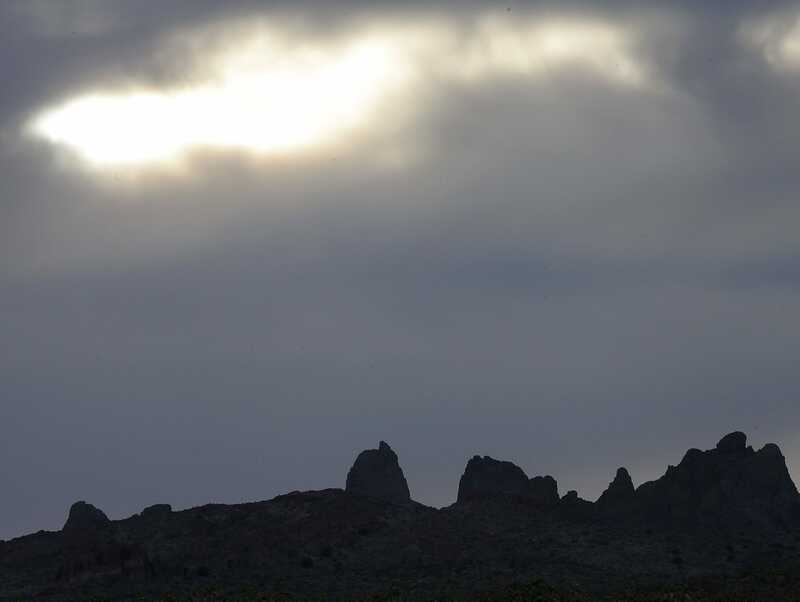 While Feinstein and Cook's bills would add the area to the Mojave National Preserve — an option that isn't available through the Antiquities Act — conservationists say a monument designation would have the same effect. Cook disagrees. He said in an email that a presidential designation could "seriously jeopardize the existing mine by including land needed for mining operations, as well as limiting the ability to drill for wells to supply water needed for operation." He also said adding the area to the preserve would make more sense, from a management perspective, than creating a standalone monument. "I view a Castle Mountain monument designation as a stealth attempt to shut down one of the most important mineral projects in the country," Cook said in an email. NewCastle isn't so concerned. Company officials prefer Feinstein and Cook's bills to a presidential designation, since they know the bills would protect their ability to mine. But the company doesn't oppose the Antiquities Act route, so long as Obama includes similar protections for mining. Tunney, NewCastle's vice president for business development, said the company has been "given some assurances by Sen. Feinstein's group" that Obama's Castle Mountains designation would look similar to the provisions in her bill. "If that’s the case, that works for us," Tunney said.